This article is about the Major League Baseball player. For the short track speed skater, see Éric Bédard. Bédard was born on March 5, 1979 in Navan, Ontario, a suburb of Ottawa. A Franco-Ontarian, Bédard began his baseball career in the Orleans Little League and the Ontario Baseball Association. He was a pitcher on the 1992 Orleans Junior Red Sox team which beat Glace Bay in the 1992 Canadian Championship. Bédard did not play high school baseball, which is common in Canada due to the short season. Navan is a rural community in Cumberland Ward in Ottawa, Ontario, Canada. It is located southeast of the suburban community of Orleans. Before its amalgamation with the city in 2001, Navan was within the City of Cumberland. It was named after the town of Navan in Ireland. Franco-Ontarians are French Canadian or francophone residents of the Canadian province of Ontario. They are sometimes known as "Ontarois". Norwalk Community College (NCC), formerly known as Norwalk State Technical College and Norwalk Community-Technical College, is a public community college in Norwalk, Connecticut. It is the second-largest of the twelve colleges in the Connecticut State Colleges and Universities system (CSCU) system. The school, which has an open admissions policy, offers 45 associate degree and 26 certificate programs. The fastball is the most common type of pitch thrown by pitchers in baseball and softball. "Power pitchers," such as former American major leaguers Nolan Ryan and Roger Clemens, rely on speed to prevent the ball from being hit, and have thrown fastballs at speeds of 95–105 miles per hour (153–169 km/h) (officially) and up to 108.1 miles per hour (174.0 km/h) (unofficially). Pitchers who throw more slowly can put movement on the ball, or throw it on the outside of home plate where batters can't easily reach it. The 1999 First-Year Player Draft, Major League Baseball's annual amateur draft of high school and college baseball players, was held on June 2 and 3, 1999. A total of 1474 players were drafted over the course of 50 rounds. The Delmarva Shorebirds are a Minor League Baseball team based in Salisbury, Maryland. 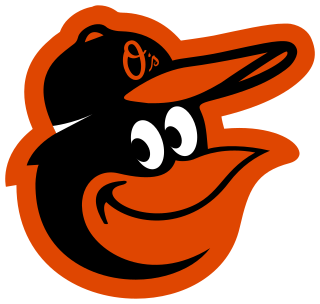 They are members of the Single-A South Atlantic League and affiliates of the Baltimore Orioles. The Shorebirds play at Arthur W. Perdue Stadium. Jason Gilbert Giambi is an American former professional baseball first baseman and designated hitter. In his Major League Baseball (MLB) career, which began in 1995, he played for the Oakland Athletics, New York Yankees, Colorado Rockies and Cleveland Indians. 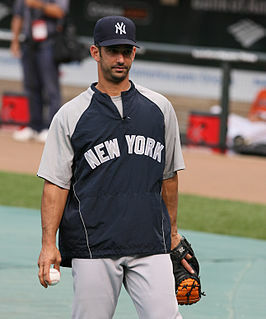 Jorge Rafael Posada Villeta is a Puerto Rican former professional baseball catcher who played 17 seasons in Major League Baseball (MLB) for the New York Yankees. Posada produced strong offensive numbers for his position, recording a .273 batting average, 275 home runs, and 1,065 runs batted in (RBIs) during his career. A switch hitter, Posada was a five-time All-Star, won five Silver Slugger Awards, and was on the roster for four World Series championship teams. Wilson Eduardo Álvarez Fuenmayor is a Venezuelan former professional baseball player. He played in Major League Baseball as a left-handed pitcher. During a thirteen-year baseball career, he pitched for the Texas Rangers, Chicago White Sox, San Francisco Giants, Tampa Bay Devil Rays, and Los Angeles Dodgers. Since 2013, he has served as pitching coach for the Gulf Coast League Orioles. Lance Robert Cormier (CORE-mee-ay) is an American former professional baseball pitcher. He played in Major League Baseball (MLB) for the Tampa Bay Rays, Atlanta Braves, Arizona Diamondbacks, Baltimore Orioles, and Los Angeles Dodgers. Dana James Eveland is an American professional baseball pitcher who is currently a free agent. He previously played in Major League Baseball (MLB) for the Milwaukee Brewers, Arizona Diamondbacks, Oakland Athletics, Toronto Blue Jays, Pittsburgh Pirates, Los Angeles Dodgers, Baltimore Orioles, New York Mets, Atlanta Braves, and Tampa Bay Rays. Eveland has also played in the KBO League for the Hanwha Eagles. Ramón Emilio Ramírez is a Dominican relief pitcher who is currently a free agent. He pitched for the Hiroshima Toyo Carp in Nippon Professional Baseball (NPB), and the Colorado Rockies, Kansas City Royals, Boston Red Sox, San Francisco Giants, New York Mets, and Baltimore Orioles of Major League Baseball (MLB). Mark Christopher Lowe is an American professional baseball relief pitcher for the Sugar Land Skeeters of the Atlantic League of Professional Baseball. He previously played for the Seattle Mariners, Texas Rangers, Los Angeles Angels of Anaheim, Cleveland Indians, Toronto Blue Jays, and Detroit Tigers. His fastball has been clocked as high as 101 mph. He also throws a slider and a circle changeup. George Friederich Sherrill is a former professional baseball relief pitcher. Sherrill pitched in Major League Baseball (MLB) for the Seattle Mariners, Baltimore Orioles, Los Angeles Dodgers, and Atlanta Braves from 2004 through 2012. He was an MLB All-Star in 2008. The Baltimore Orioles entered the 2008 season led by Dave Trembley, now starting his first full season as manager. President of Baseball Operations Andy MacPhail continued the rebuilding process. Superstars Miguel Tejada and Érik Bédard were traded for younger talent and there were talks of Brian Roberts, but he was not traded. Kameron Kraig 'Kam' Mickolio is an American professional baseball pitcher who is currently a free agent. He has previously pitched for the Hiroshima Toyo Carp, and Tohoku Rakuten Golden Eagles of Nippon Professional Baseball (NPB), and the Baltimore Orioles and Arizona Diamondbacks of Major League Baseball (MLB). Joshua David Fields is an American professional baseball pitcher for the Los Angeles Dodgers of Major League Baseball (MLB). 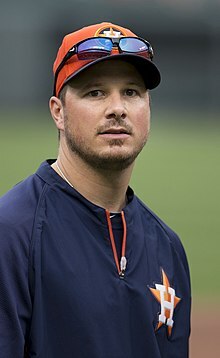 He has also played in MLB for the Houston Astros. Christopher Steven Tillman is an American professional baseball starting pitcher who is a free agent. He made his Major League Baseball (MLB) debut with the Baltimore Orioles in 2009, and played with them until 2018. He was named an All-Star in 2013. Daniel Claiborne Hudson is an American professional baseball relief pitcher in the Los Angeles Angels organization. He previously played in Major League Baseball (MLB) for the Chicago White Sox, Arizona Diamondbacks, Pittsburgh Pirates and Los Angeles Dodgers. Jeremy Robert Hellickson is an American professional baseball pitcher for the Washington Nationals of Major League Baseball (MLB). He has previously played for the Tampa Bay Rays, Arizona Diamondbacks, Philadelphia Phillies and Baltimore Orioles. 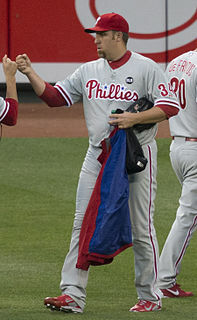 Following the 2011 season, Hellickson was named American League Rookie of the Year. In Tampa Bay, Hellickson was nicknamed "Hellboy" by local fans and media. Nathan Edward Eovaldi is an American professional baseball pitcher for the Boston Red Sox of Major League Baseball (MLB). He previously played in MLB for the Los Angeles Dodgers, Miami Marlins, New York Yankees, and Tampa Bay Rays. Wade Allen Miley is an American professional baseball pitcher for the Houston Astros of Major League Baseball (MLB). He has played in MLB for the Arizona Diamondbacks, Boston Red Sox, Seattle Mariners, Baltimore Orioles and Milwaukee Brewers. He played college baseball at Southeastern Louisiana University. 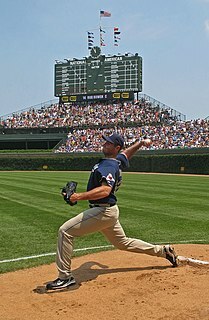 Brandon Carlin Workman is an American professional baseball pitcher with the Boston Red Sox of Major League Baseball (MLB). He made his MLB debut in 2013. He both throws and bats right-handed, and is listed at 6 feet 5 inches (1.96 m) and 235 pounds (107 kg). Vidal Vicente Nuño [vee-dahl' nooh'-nio] is a Mexican-American professional baseball pitcher in the Washington Nationals organization. He has played in Major League Baseball (MLB) for the New York Yankees, Arizona Diamondbacks, Seattle Mariners, Baltimore Orioles and Tampa Bay Rays. The Cleveland Indians selected Nuño in the 48th round of the 2009 Major League Baseball draft. He made his MLB debut in 2013 with the Yankees. Ryan Christian Yarbrough is an American professional baseball pitcher for the Tampa Bay Rays of Major League Baseball (MLB). ↑ "Orioles trade Bedard to Mariners for five prospects". ESPN.Go.com. Associated Press. February 9, 2008. Retrieved November 26, 2008. ↑ Sherwin, Fred (April 5, 2005). "Orleans Little League Baseball – Erik Bédard". OLLB – Orleans Little League Baseball. Retrieved November 26, 2008. ↑ Fordin, Spencer (July 30, 2007). "Bedard arrives on a road less traveled O's young ace took an unlikely route to stardom in Majors". MLB.com. Retrieved November 26, 2008. 1 2 3 4 5 6 7 8 "Eric Bedard Statistics and History". Baseball Reference. 1 2 3 4 5 6 7 8 9 10 11 "Eric Bedard bio". mlb.com. 1 2 3 4 5 6 "Eric Bedard minor league statistics & history". Baseball Reference. ↑ "April 17, 2002 Baltimore Orioles at New York Yankees play-by-play and box score". Baseball Reference. Retrieved March 6, 2015. ↑ "April 21, 2002 Baltimore Orioles at Tampa Bay Devil Rays play-by-play and box score". Baseball Reference. Retrieved March 6, 2015. ↑ "AWARDS WEDNESDAY: A-ROD DROPS, WRIGHT RISES" Archived December 14, 2007, at the Wayback Machine . NYPOST.com. August 15, 2007. ↑ "Red Sox-Orioles Preview" Archived August 30, 2007, at the Wayback Machine . CBC.ca. August 10, 2007. ↑ "Bedard Done for the Season" [ permanent dead link ] baltimoresun.com. September 9, 2007. ↑ "2007 Arbitration Eligibles". Mlbcontracts.blogspot.com. Retrieved February 14, 2014. ↑ Street, Jim (February 8, 2008). "Mariners seal deal for Bedard Fireballing lefty arrives as Seattle sends five players to O's". MLB.com. Retrieved November 26, 2008. ↑ Street, Jim (February 13, 2008). "Bedard named Opening Day starter Experience determining factor over Hernandez". MLB.com. Retrieved November 26, 2008. ↑ Street, Jim (February 15, 2008). "Bedard inks one-year deal with Mariners Left-hander obtained in trade with Orioles in early February". MLB.com. Retrieved November 26, 2008. ↑ Street, Jim (July 10, 2008). "Bedard might miss DL with Batista injury Right-hander leaves game against A's in third inning". MLB.com. Retrieved November 26, 2008. ↑ Street, Jim (November 6, 2009). "Bedard, Batista, Chavez opt for free agency". MLB.com. Retrieved November 7, 2009. ↑ Street, Jim (February 6, 2010). "Mariners bring back lefty Bedard". MLB.com. Retrieved February 7, 2010. ↑ Baker, Geoff (December 2, 2010). "Mariners sign Erik Bedard to a one-year deal". The Seattle Times. ↑ "Red Sox acquire starting left-hander Erik Bedard from Seattle". Boston Red Sox. MLB. Retrieved February 14, 2014. ↑ Langosch, Jenifer (December 7, 2011). "Bucs ink Bedard to one-year contract". MLB. Retrieved December 7, 2011. ↑ Gleeman, Aaron (March 23, 2012). "Pirates choose Erik Bedard as Opening Day starter". NBC.com. Retrieved March 23, 2012. ↑ Nowak, Joey (August 28, 2012). "Pirates release veteran lefty Bedard". ↑ "Twitter / ShiDavidi: Canadian Erik Bedard signs". Twitter.com. Retrieved February 14, 2014. ↑ "Erik Bedard of Houston Astros asked to leave no-hit bid in 7th inning – ESPN". Espn.go.com. July 21, 2013. Retrieved February 14, 2014. ↑ Baer, Bill (January 18, 2015). "Dodgers sign Erik Bedard to a minor league deal". NBC Sports. Retrieved March 6, 2015. ↑ Moreno, Matthew (March 23, 2015). "Dodgers News: Erik Bedard Likely To Miss 4–6 Weeks With Back Strain". Dodgers Nation.com. ↑ "San Jose Giants: On Deck". MiLB.com. St. Petersburg, Florida. May 24, 2015. Nik Turley (0–0, ---) is slated to start on the mound for San Jose while the Quakes are expected to counter with former major leaguer Erik Bedard (0–0, ---). ↑ Hoornstra, J.P. (June 11, 2015). "Pitcher Erik Bedard halts comeback with Dodgers, announces retirement". Los Angeles Daily News. Retrieved June 11, 2015. Wikimedia Commons has media related to Érik Bédard .